Prince Manvendra Singh Gohil, who was disowned by his family in 2006 after coming out as gay to them, has reportedly been invited by Oprah to appear on her talk show. Gohil received the communication from Oprah Show on 6th October, inviting him to appear on New york studio. Gohil is scheduled to sit across the Oprah Winfrey show host on October 26 and going to discuss issues regarding gay rights, the role of his NGO Lakshya trust and the plight of HIV positive people in India. Dr Naina Patel, one of the biggest names in India for couples seeking surrogacy, is also joining the show along with Prince Gohil. In the last couple of years Patel, a practising gynaecologist has helped dozens of couples have children through surrogate motherhood – most of whom women from Anand district. Manvendra Singh Gohil is a prince from Rajpipla. The 42-year-old is the only person of royal lineage who has openly proclaimed to being a gay and, after creating an initial stir in his native town Rajpipla as well as family, is now being looked upon as a champion for gay rights and an activist for HIV derelicts via his NGO Lakshya Trust. The Royal house of Rajpipla belongs to Gohil clan of Rajputs, with a salute of 13 guns. The foundation of Rajpipla state is laid by Chokrana, son of King of Ujjain, at the town of Pipla in 1200 AD. On the extinction of the male line, Samaisinhji Gohil, a younger son of Mokhadaji Gohil, of Gogha (Bhavnagar) and maternal nephew of the Prince Chokrana, ascended the gadi in 1403 under the name of Arjunsinhji. His descendants ruled the state continuously until 1947 and then acceded to the Dominion of India in 1947, merged with the Bombay Presidency in 1948, and became a part of Gujarat in 1960. 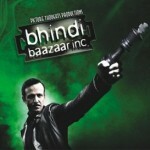 The gay prince is the first male personality from India to be invited for such a globally viewed chat show. Aishwarya Rai was the first indian woman to be interviewed. Although he came out to his family about his sexuality in 2002, but didn’t go to public until 2005 when he gave an interview to a trusted reporter of a local daily. I knew that they would never accept me for who I truly am, but I also knew that I could no longer live a lie. I wanted to come out because I had gotten involved with activism and I felt it was no longer right to live in the closet. I came out as gay to a Gujarati daily because I wanted people to openly discuss homosexuality since it’s a hidden affair with a lot of stigma attached. 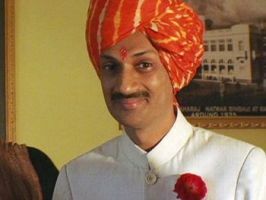 Raghubir Gohil, the father of gay prince, has learnt to cope with the fact that his son is gay and sometime attends the function hosted by his son. But his mother is still finding it very difficult to accept. want to conduct a interview with his due permission.